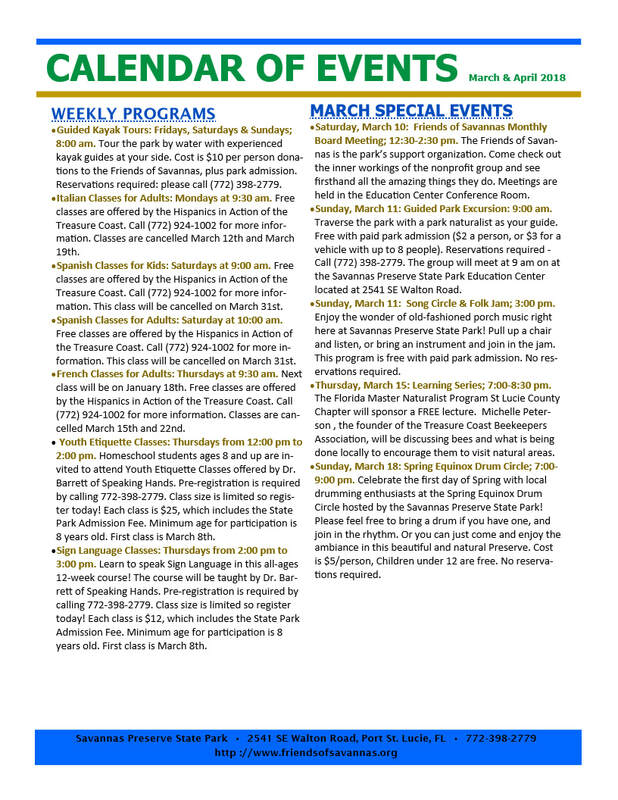 At the Savannas, we pride ourselves on what we believe is a stellar newsletter! 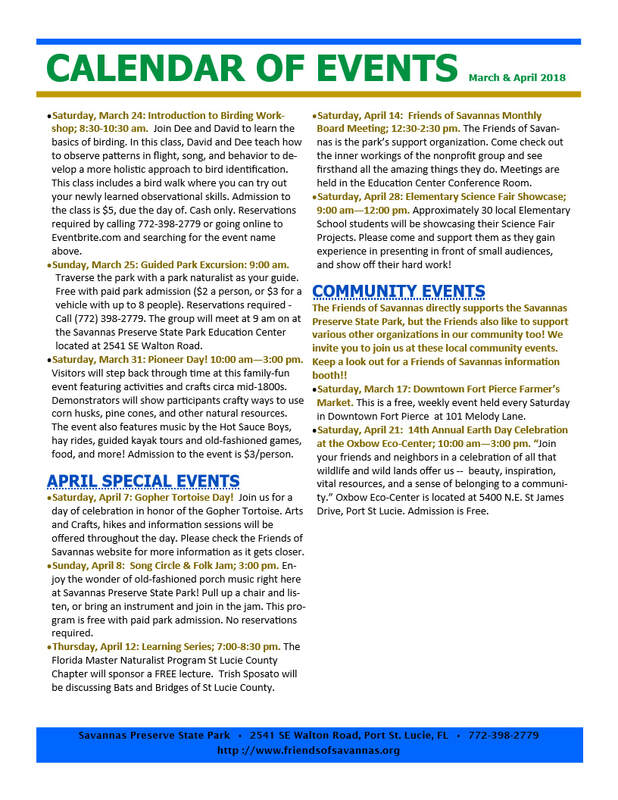 Echoes comes out quarterly and can be printed from the website or picked up at the Savannas Preserve State Park Education Center at any time. Below, you will find the most current issue of Echoes for your perusal, download, and printing. Items in the newsletter include calendar of events, environment-related stories, photos and highlights of past months, what is to come in the future, as well as an inside scoop on some of the representatives of the park. Special thanks goes out to all of our volunteer newsletter article contributors and our newsletter designer and editor, Debra Goodrich! A full run of back issues of Echoes is available in the archives at the Education Center. ​At this time, our newsletters are not formatted to be viewed on mobile devices. We apologize for any inconveniences.